These organizations believe and support the vision and mission of Veterans in Global Leadership. Each entity provides guidance and assistance in the implementation and sustainability of the Veterans in Global Leadership's goals. ProFellow is the largest online community of active fellowship seekers in the world. The organization serves at the go-to source of information on professional and academic fellowships. ProFellow also houses the International Fellows Network to facilitate cross-disciplinary networks of current and former fellows working on exceptional projects, research and enterprises. 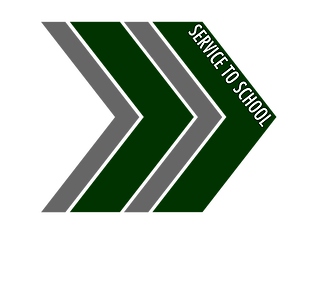 Service to School (S2S) is a 501(c)(3) non-profit that provides free application counseling to military veterans. The goal is to help veterans win admission to the best universities possible while helping them maximize their education benefits. At this time, S2S is the only non-profit focused specifically on helping veterans get into top schools. We provide the application assistance, mentoring, and know-how to ensure that veterans can pursue higher education at quality schools, whether at the graduate or undergraduate level. The U.S. 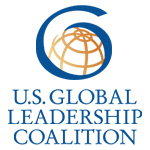 Global Leadership Coalition (USGLC) is a broad-based influential network of 400 businesses and NGOs; national security and foreign policy experts; and business, faith-based, academic and community leaders in all 50 states who support a smart power approach of elevating diplomacy and development alongside defense in order to build a better, safer world. 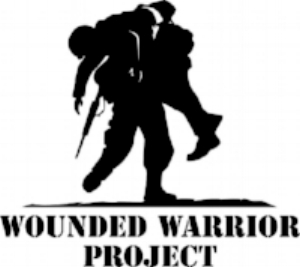 Wounded Warrior Project (WWP) is a charity and veterans service organization that offers a variety of programs, services and events for wounded veterans of the military actions following September 11, 2001. It operates as a nonprofit 501(c)(3) organization. As of June 1, 2015, WWP served 71,866 registered alumni and 11,494 registered members. The organization has partnered with several other charities, including the American Red Cross, Resounding Joy, a music therapy group in California, and Operation Homefront. WWP has also provided a year-long Track program, which helps veterans transition to college and the workplace. Craig Newmark views his role as connecting people who are doing good, enabling them to do what they do best, and then getting out of their way. Some of Newmark’s early philanthropy centered on using the internet to leverage his gifts and encourage others to give. In 2016, he established Craig Newmark Philanthropies, which works to advance people and organizations that are “getting stuff done” in the areas of trustworthy journalism, voter protection, women in technology, and veterans and military families. Newmark serves on the boards of a range of nonprofits, including Blue Star Families, Center for Public Integrity, Girls Who Code, Iraq and Afghanistan Veterans of America (IAVA), Poynter Foundation, Sunlight Foundation, VetsinTech, and Women in Public Service Project. The Center for a New American Security (CNAS) is an independent, bipartisan, nonprofit organization that develops strong, pragmatic, and principled national security and defense policies. CNAS engages policymakers, experts, and the public with innovative, fact-based research, ideas, and analysis to shape and elevate the national security debate. A key part of their mission is to inform and prepare the national security leaders of today and tomorrow.